Summary: History makes her lessons available to us, if we wish to use them. Today we look at WWI, finding some insights from that great war that apply to our long war. This should disturb us, and inspire us to do better this time as we fight a war that many Americans are almost unaware of, but might have horrific consequences for us. No nation, however powerful, can prosper if it does not learn from history. 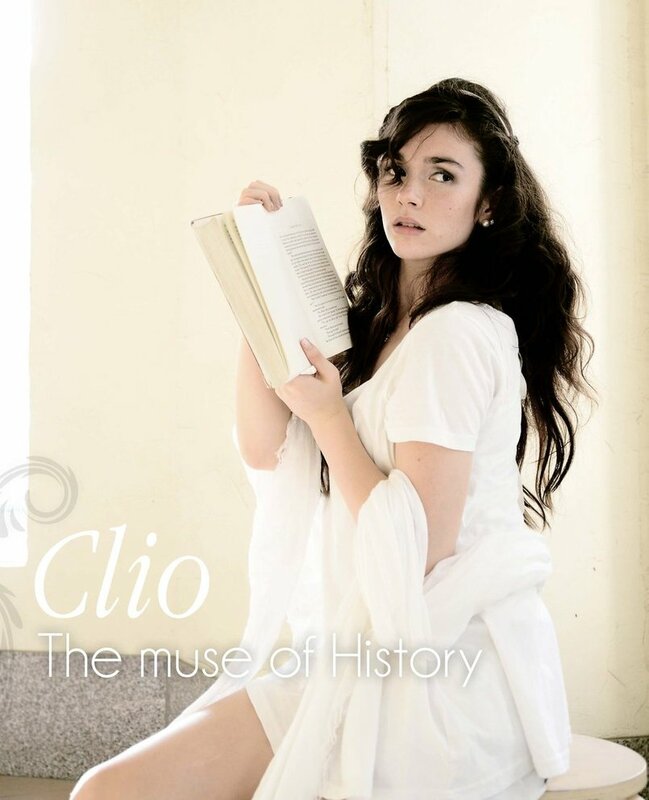 Cleo, Muse of History. By Reylia at DeviantART. — Hegel’s Lectures on the Philosophy of History (1832). Many of the great events in history have lessons for those living in radically different eras. Unfortunately Hegel’s generalization describes most peoples in most times. But it is not true of truly great nations. It has not been true of America, which has become a great nation in part because we have learned well and rapidly (e.g., our resolution of WW2 and construction of the post-war world). Are we still learning? The long war will provide an answer. See this article for a powerful example of painful lessons from the past that apply quite well to us today. It’s well-worth reading in full, implicitly posing questions the next few years will answer. But of course the Sarajevo assassination captivates posterity for its consequences. … Thus was unleashed the calamitous conflict that, more than any other series of events, has shaped the world ever since; without it we can doubt that communism would have taken hold in Russia, fascism in Italy, and Nazism in Germany, or that global empires would have disintegrated so rapidly and so chaotically. A century on we still search for its causes, and very often, if possible, for people to blame. … Margaret MacMillan charts the series of resultant international crises that had a cumulative effect, among them the two Balkan Wars of 1912–1913: they tested commitments and amplified anxieties, but also fostered a sense of controlled brinkmanship. Much depended upon the “unspoken assumptions,” the mental maps that made war seem acceptable, at least as a last resort; and upon the increasingly autonomous army chiefs wedded to the doctrine of the offensive, just as significant sections of the populace were seduced by war’s perceived glamour, and vaunted its benefits with reference to the ideas of thinkers as diverse as Darwin, Nietzsche, and Bergson. … Most obvious is an amplification of military power once armies entered the field. … Censorship also soon grew rampant with the tools for savage repression of any potential dissent. … Besides, none of the combatants had a ready exit strategy. Rather, war aims responded to the need to justify sacrifices already made. Finally there was the fact of a remarkably swift acceptance of the dictates of total war on all sides, in societies where deference to established authority remained strong. Today is not 1914. But there are similarities. The government need not censor the news media. Journalists usually adequately censor themselves, and the public usually ignores any unpleasant truths that leak out. The result is the same, an acceptance of whatever the government tells us. Our war aims easily expanded from Congress’s 60 words authorizing force only (they thought) against those who did 9-11, not a general war against Islamic insurgents everywhere. Our government has no exit strategy for the long war (it might even prefer the long war continues). Our society has accepted with remarkably swiftness the dictates of the security services (formerly known as law enforcement agencies). And our deference to authority remains strong, despite the increased burdens placed upon us. One pebble touched off an avalanche. It did so because it occurred, not as an isolated incident, but as one more in a series of crises that rocked Europe in its last ten years of peace, 1904-1914. Each of those crises had the potential to touch off a general European war, and each further de-stabilized the region, making the next incident all the more dangerous. 1905-06 saw the First Moroccan Crisis, when the German Foreign Office (whose motto after Bismarck might well be “Clowns unto ages of ages”) pushed a reluctant Kaiser Wilhelm II to land at Tangier as a challenge to France. 1908 brought the Bosnian Annexation Crisis, where Austria humiliated Russia and left her anxious for revenge. the Balkan Wars of 1912-13. By 1914, it had become a question more of which crisis would finally set all Europe ablaze than of whether peace would endure. This was true despite the fact that, in the abstract, no major European state wanted war. If this downward spiral of events in Europe reminds us of the Middle East today, it should. There too we see a series of crises, each holding the potential of kicking off a much larger war. … A basic rule of history is that the inevitable eventually happens. If you keep on smoking in the powder magazine, you will at some point blow it up. No one can predict the specific event or its timing, but everyone can see the trend and where it is leading. The tragedy is that the great powers were not alarmed by these crises, but took comfort from their resolutions. Signs that their foreign policies were destabilizing Europe were interpreted as success (or at least tolerable patchwork). In the long war our foreign policy lurches from crisis to crisis, from intervention to intervention (Afghanistan to Iraq to Libya), to almost-interventions in Syria and Iran. Plus our drones and special operations forces interfere in dozens of nations (see Nick Turse’s “The Special Ops Surge“). It’s a mad patchwork, probably destabilizing both some of the nations involved (e.g., Pakistan) and perhaps entire regions. The past does not repeat itself, but it rhymes. R. J. W. Evans is a Fellow of Oriel College and Regius Professor of History Emeritus at Oxford. His latest book is Austria, Hungary, and the Habsburgs: Central Europe, c. 1683–1867 (February 2014). Wikipedia provides more information, and a list of his other books. (a) See more of Reylia’s artwork at DeviantART. I have read that there was a presumption in 1914 that international interdependence would preclude a major war, as there is now. What seems fundamentally different this time is the dominance of an international “capitalist” (defined as having ownership or control of capital) class combined with their control of the “turnkey totalitarian state” enabled by electronic surveillance and having the arms of “law enforcement” (in a world where everyone can be found guilty of something, or simply detained upon suspicion of anything) on their payrolls. Global neo-feudalism still seems the greatest risk. The ruling class has cooperated during the recent period to enhance their wealth, why shouldn’t that trend continue? They have so much to lose in outright war. Perhaps you are thinking of Norman Angell’s “The Great Illusion” (1909)? It has been garbled in the popular history. He said that Europe’s high degree of economic integration would make war futile. In that he was quite correct. He did not believe economic integration would prevent war, but rather that it’s lack of economic benefit would be recognized AND deter people from waging war. He believed that Europe’s people and leaders would act wisely, knowing this obvious fact. That was not correct. Just as the obvious futility and risk of blowback from our long war has not deterred us. Thanks for the reference. I suppose the question that lurks is heavily Marxist: what classes benefit from war? Did the bankers and armaments dealers benefit from WWI? Did their children fight in the war (at one time the children of the rich went to war, not so much recently, although I don’t have hard data on this)? Who has benefitted from our long war, if not Halliburton et alia? Cheney was a draft dodger, we know that. You get my drift. Any insights welcome. The class basis for war is something I too have wondered about. As Chet Richards has often said, “war” is too broad a term for such analysis. Looking at the long peace & WWI, the people that benefited from the colonial wars were losers from WWI. So our wars — the cold war and the long war — are, imo, largely beneficial to narrow special interests: the defense industry and our geopolitical experts (most of whom would be unemployed if the US adopted a more rational geopolitical strategy). But there is another dimension: War is the Health of the State. I don’t have time to elaborate, but that post gives some details. “Militarism run stark mad”…I’d say that’s more true of this country now than ever before. Eisenhower, someone who was in a position to know about this from both sides, warned us about this in his final address as president…and we chose not to listen (yet another example of people refusing to learn from history). 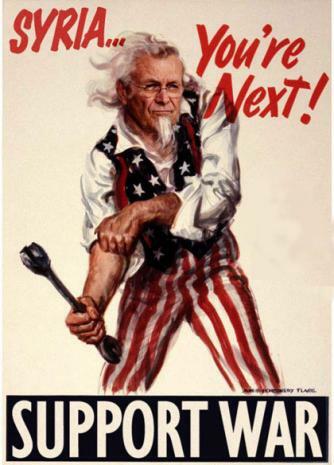 It’s currently estimated that the US Department of Defense is the world’s largest employer, public or private, and this is very likely before you factor in all the subcontractors (and the subcontractors to the subcontractors) who supply the military with necessary equipment and services — to such an extent that according to a New York Times article in 2009, the number of contractors in Afghanistan actually exceeds that of the number of troops. We not only spend more money on defense than any other country in the world (an estimated 1% of our entire GDP just to maintain our military arsenal), but more than the next fifteen or so countries *combined*. We have only 5% of the world’s population and yet make up around 50% of the world’s total defense expenditure. Part of this is because ending the draft opened the door to the partial privatization of the military in which the primary goal of the subcontractor is making a profit (which will naturally raise the level of spending) — but a lot of this money ends up being wasted on things such as sophisticated weapons systems which either never make it into production or are often expensive to maintain when they do and which are of limited effectiveness against the kind of enemies we’re currently fighting. The catch is that the United States is not paying for this itself but rather is relying upon borrowed funds. Which suggests that this binge will end when foreign creditors either cannot or will not further lend money. This is a common myth, wrong on many levels. The US government’s fiscal condition is better than that of most of our peers. The fiscal deficit is — unlike conservatives’ confident predictions of doom a few years back — falling fast. Inflation — the major foe of government creditors — is too low, below the Fed’s safety zone. Most of the buying by foreign central banks is done for mercantilist reasons, to depress their currency vs the US dollar. They do that to improve their trade competitiveness vs that of the US. Ending that buying would benefit us. They are not buying US dollars as investments. Nor is there any significant odds of default. I could go on, but really this is absurd. There are many reasons to worry about the US government’s long-term fiscal condition, but foreign ownership of our debt is not one of them. Frankly, if anything, I think that might actually push this country even further toward becoming like Oceania. In “1984”, Emmanuel Goldstein argues in his book that the wars which Oceania and its fellow superstates have been continually fighting are a pretext. The real purpose of the war is not conquering one or both of the other superstates, but conquering and dominating their own people. The Ministry of Truth lies to the people, the Ministry of Plenty keeps them on the edge of starvation, and the Ministry of Love rules them with an iron fist so that the Ministry of Peace can continue to maintain the illusion of a never-ending war in order to justify all of these things purely so that power and control can be maintained where it is. You really don’t have to look all that far or all that hard to notice some disquieting parallels between Oceania and the current state of our country. A lot of people have managed to turn a profit — financially, politically, and/or professionally — from these wars, and they’re probably not going to give that up if they have anything to say about it (certainly not voluntarily). The erosion of our civil liberties and the increased use of unnecessary force against people for relatively minor offenses, all ostensibly in the interest of national security, already bear a disturbing resemblance to the actions of the Ministry of Love (even if they’re not quite as severe as that…yet) — and there is reason to believe that this could be a deliberate effort designed to dissuade people from challenging the actions of the government. As FM has pointed out on this and other posts, the mainstream media already voluntarily censors information much like the Ministry of Truth does — and the use of celebrity trivia as a substitute or replacement for more meaningful and valuable information is uncomfortably reminiscent of what Orwell refers to as “prolefeed” (sensationalist media designed to keep the majority of people distracted, complacent, and ignorant). If the government was no longer able to get the funding from other countries that it needs to keep waging war, I see no particular reason to believe that it would not try to find a way to start taking it from its own people much like the Ministry of Plenty. The growing trend of inequality might even be considered something of a parallel to this already — the rich are still getting richer, with more and more power becoming concentrated at the top, but just about everyone else seems to be heading downward. One factor that might inhibit foreign investors from continuing to fund the US would be that they, themselves, could no longer afford to do so. 1984 was published over a decade before Eisenhower’s speech about the military industrial complex. Today, the book seems like it was even more prophetic than it might have seemed then in the 1960’s. But it was supposed to be a warning, not an instruction manual! Regarding foreign financing of the US military. Another – very obvious – reason why a foreign country might cease lending to the United States would be – rather than that they disliked the United States as an investment – simply that they disliked the United States, period. None of those things has any role in foreign central bank buying of US debt. Zero. Zip. As I said, they buy US debt as part of their mercantilist strategy. They manage the value of their currencies to boost their economies. They will not trash those core strategies to express an emotional tantrum — one that would hurt them and help the US. I’m not entirely convinced of that, Duncan. One of the advantages of being the most heavily armed country in the world is the fact that it gives other countries a lot of incentive to say “yes” to you for fear of what you might potentially do to them if you don’t. More recently, John Perkins — author of the book “Confessions of an Economic Hit Man” — has also accused the US government of acting very much like a mafia boss (hence the name of his book). He states that when the US government wants something from another country, it tends to follow a typical pattern. It tries to get what it wants through diplomatic and economic channels first…but if it can’t get what it wants by fair means, it’s by no means afraid to use foul means by either sending in agent provocateurs in an attempt to weaken the sitting government so that a more friendly leader can be installed (and there’s no denying the fact we’ve done just that — Operation Ajax, anyone?) or else coming up with an excuse to simply march in and take it by force. In all honesty, I don’t see a lot of reason to dispute him on that score. War is a Racket is a valuable resources. PDF here; see the Wikipedia entry. Butler received the Metal of Honor twice, one of 19. Confessions of an Economic Hit Man is regarded by many as a hoax (me, too). See the Wikipedia entry. Polls of actual military personnel in 2012 showed overwhelming support for Ron Paul, who would like to pull troops out of almost everywhere. I have an acquaintance, a West Point grad, who quit after realizing that the military is being used for the benefit of the contractors. I saw Wolf Blitzer interview a military guy during the election who started to say why most military people supported Ron Paul, that most of our engagements are worthless (or worse) and Wolf couldn’t have cut away quicker. And when the supply of “terrorists” gets too low, we now have a solution: send in a drone and create some more (the survivors, the “black widows”)! 1) Why do they enlist? 2) Why do they re-enlist? Please cite some of the polls that showed “overwhelming support” for Ron Paul by “actual military personnel”. The stories I saw were of campaign contributions to the candidates, by people who disclosed their employers (aprox 1/3), by “military employees” (uniformed, civilian, including retirees). The dollars and numbers were tiny. I very much doubt you can show any substantial evidence that a majority of active duty military supported Ron Paul, let alone an “overwhelming” majority. Also — how do we know what attracted those people to Ron Paul? His advocacy for decriminalizing drugs, support for gay marriage, belief that we should return to the gold standard (and have all those depressions!)? Or his hints of racism? When the only tool you have is a hammer, everything starts looking like a nail. The only tool the United States has left nowadays is its military. IMO that’s totally wrong. Absurdly so. Our tech and biotech industries are among the best in the world. Our top universities are among the top in the world. Our government’s financial condition is among the best of the developed nations. Our export industries are booming, as experts/ gdp have been increasing for decades. Our culture is among the most vigorous in the world, which one reason the jihadists fear us. More on this in the next comment. Everybody has weaknesses. But seeing only one side of the situation makes for poor decision-making. We are the attackers in the clash of civilizations. We are winning. Americans even today retain the opportunity to become debt slaves by attending its increasingly expensive universities in the hopes of obtaining part-time work with various outsourcing high tech companies. All of which are dominated by and serve the 1%. Accordingly your use of the word “our” in your response is interesting. To quote Tonto in the famous joke, “Who’s this “we,” Kimo Sabe?”. Not sure if the tensions between Japan-China-Korea could come into play too? There is a fair amount of chest thumping going on. Lots of talk about the China – Japan tensions in the news media. My strong forecast is that there will not be fighting. These predictions of war are common as dirt among geopolitical experts. Last year it was N Korea, then Phillipines. Each time I say nothing will happen. Each time the geopol warriors thump their chests and forecast war. Nothing happens. It’s all nonsense. Nuke powers are not going to fight with one another, period. Smaller developed & developing nations will, but very very rarely. Fighting is something failed and failing States do. Unfortunately, centered in Africa. Perhaps Latin America. And the great wild card, North Korea (which I suspect will collapse before attacking anyone). Does this include the USA? I assume you are kidding! The US is one of the world’s more stable nations, and has been so for 150 years. No, FM, Saif is not kidding. He has been reading your blog. Then Saif has a very distorted view of the world. It is easily fixed by a week living in a real failed State. Like Somalia, Afghanistam, or North Korea. The US is doing fine in terms of most metrics. Our geopolitical strategy is mad, and our political regime is evolving into a more common form. Most other metrics are ok. Many are improving. The USA is no a failed state (yet). I cannot see the future. Depending on how one would define a failed state, which there seem to be some disagreement about. I am not addressing that point at the moment. However your premise is “Fighting is something failed and failing States do.” The fact is that the USA is fighting a lot of wars across the globe for many years now. Thus based on your premise we can conclude that the USA is a failed or failing state and has been for some years now. Either the conclusion is wrong or your premise is wrong. Pick (at least) one. I think your premise is wrong. And about your conclusion that the USA is not “a failed or failing state”, that depends on ones definition of success, which depends on which goals certain people would like to achieve and the progress towards those goals. Not only desires of those people at this moment in time, but also their desires in the future. The prove will be in whether their own people have abandoned her and her causes and values, have abandoned their identity or not. Deeds are judged by their endings. Lives are judged in their death. That’s a powerful point, and one I entirely failed to see! Thanks for catching that and pointing it out. You are correct, I have to rethink how to say that. I was using the common distinction in the military literature between “small wars” (interventions in the internal affairs and “real wars” (conventional interstate combat). “Failed state” is a technical term with a specific meaning. It has nothing to do with people’s goals, but the degree of internal order. See Wikipedia for details. The Fund for Peace ratings are the most common used metric. (1) Yeah some miscommunication there. I assumed you included interstate war, since the context was a war between China and Japan. But even if we only limit the definition to “full scale” interstate war, the USA is still included in that definition, unless Operation Iraqi Liberation (later relabeled Operation Iraqi Freedom) is also defined as a “small war”. What about the USA during WW1 and WW2? I still don’t think interstate war necessary makes a state a failed state. In fact depending on what the other states around it do, sometimes not engaging in war leads to the failure of the state. The reason I would like to stress this point, is because for many people outside the USA, the USA is the most war hungry state at the moment. At the same time I cannot accept that the USA is “already lost”. Not for any particular affection for the USA, but simply because it is not true. Event extremely corrupt and oppressive states can survive for some time. (2) Thanks for pointing out the definition of failed state you are using, and which is used in general. Clearly trying to define their definitions as best as they can. That is one of the strong points of this blog. However when many people discuss whether the USA has failed, they are not only addressing whether the USA “the state” has stopped functioning, but also if the whole “USA project” has lost its original purpose. This is actually one of the main topics FM discusses regularly on this blog. Whether the narrative is factually correct, I am not really sure but there is a very distinct difference in how the people of the USA describe themselves and how Europeans describe themselves. In the Western European nations the states were build around groups of people, the principles coming later. The USA however build their state around principles and had people rally around them. It is about “the American Dream”. That no matter how poor and weak your birth, you can attain the highest positions and greatest wealth in society if you work hard (physically and intellectually) for it. Some might call this “Capitalism” or some other label. But most of these labels are actually not accurate. There definitions not matching this “project USA” exactly. Even if the state of the USA functions extremely well, when it doesn’t live up to this narrative anymore, the “USA project” has effectively ceased to exist. And it is this USA that many people are seeing failing. However people seem to confuse some matters. These things are not the same. is this because there are some inherent self-defeating, self-contradicting and truth-contradicting flaws in the narrative itself? Or is it because the narrative is true, but the people themselves have abandoned it? is that they in themselves don’t show you anything in specific or general. What it shows people as individual and groups is a mirror. What people see in it, is their own desires and dreams. This is both its greatest power and greatest weakness. Thank you for your clarificaton! You raise some important points, none of which I can respond to at this time. Esp you note the various definitions of “America” (which apply to most States). (a) the target has little ability of the target to fight back. In that sense these are a continuation of the standard colonial-era war. The US Marines were our primary tool for these before WW1. (b) the small war was a intervention to prop up the government of an allied (often a puppet State). Again the other side usually has little ability to strike back (or is perceived to have; our assessment of North Vietnam was inaccurate). In 4GW that does little to assure victory, however. Real wars are those where there is a foe commanding significant conventional military force. “unless Operation Iraqi Liberation (later relabeled Operation Iraqi Freedom) is also defined as a “small war”. Both phases of the war were *classic* small wars. The Iraq Army folded quickly, as usual. The 2nd phase was a classic small war against insurgents. We’re talking about the post-war era, which has little resemblance to anything before that. Nukes render traditional large-State wars insane. 4GW has become the do I ate form of war. The two things have almost nothing to do with one another. Even brutal defeat doesn’t often create a failed State, although it sometimes leads to regime change. Thanks for the clarification. It makes much more sense now. I’d like to second FM’s rejoinder to Duncan Kinder. Hollywood represents one of the greatest concentrations of “soft power” in the world, second only perhaps to the Japanese manga industry, and people from Ethiopia to Azerbaijan to Tierra del Fuego know about and celebrate and save up for vacations in places like Hollywood Boulevard and Venice Beach in southern California because of the enormous power and prestige of America’s culture. Our universities remain at the post-graduate level unmatched by any others, and even second-tier industries like American science fiction publishing or American fashions still dominate the world. People who can’t speak English still want Nike sneakers and read translations of Orson Scott Card’s science fiction novels. This has Americanized the culture of the whole planet. America’s culture has become the default operating system in most other countries, overlaid on the local culture. You will see the Golden Arches and the Coca-Cola logo in places that don’t even use the Roman alphabet. However, FM seems incorrect when he claims: “The U.S. is doing fine in terms of most metrics.” In fact, the U.S. has fallen very far behind by many metrics. Worldwide, America is 7th in literacy, 27th in math, 22nd in science, 49th in life expectancy, 178th in infant mortality, 3rd in median household income, Number 4 in labor force and Number 4 in exports, we lead the world in only three categories: Number of incarcerated citizens per capita, number of adults who believe angels are real, and defense spending where spend more than the next 26 countries combined, 25 of whom are allies. I’d like to expand on what Bluestocking notes about American militarism. Not only does America shovel an unbelievable amount of sheer money per annum into its military, but this continued spending (at about a trillion per year, give or take, including items technically off the balance sheet, like military pensions) has militarized American society. We are now effectively a garrison state under unannounced martial law. Most of the Bill of Rights has been wiped out. 60% of current U.S. college graduates wind up working at jobs which formerly required no more than a high school education — barista, xerox clerk, janitor. American medical care remains unaffordable for much of the population. By what standard is this “doing well”? Britain is freer and has excellent national health care; the Netherlands has absurdly faster internet speeds, much better support for the arts than America, and no SWAT teams roaming around shooting peoples’ dogs and breaking into their houses by mistake. Japan has preposterously lower crime than America. The list goes on. FM’s assertion that “the U.S. is doing fine in terms of most metrics” flies in the face of observed reality. I think FM means to say “The top 20% of the population of the U.S. is doing fine in terms of most metrics.” The bottom 80%…not so much. That is quite an odd comment, in many ways. (1) It’s a reading FAIL. Your rebuttal says that the US is not the best at everything. Duh. I said “The US is doing fine in terms of most metrics.” “Fine” does not mean “the best”. (2) Your point about the US not being the best in everything is not well founded in a different sense. The US has the 3rd largest population in the world. Comparing us to nations that are smaller than many of our States (or even cities) is an apples to oranges comparison. A fairer comparison would be the US vs other large nations and regions. US vs China, Russia, Indonesia, the EU, etc. On such a basis the US looks quite good. So in your mind we’re not doing well unless we’re better than everybody at everything. When you go to Heaven you will find such a place. Until then you must settle for imperfect nations, inhabited by imperfect people. In my experience of living in both eastern and western world i had a chance to look at causes of economic failings in both. I find that both are sucseptable to similar mechanisms. Once an elite group has achieved elite status, not knowing how to offer progress to people, start to fight for preservation of status quo instead of allowing new elites capable of new vision to take the trone. In the east, military was getting massive amount of resources to inovate and grow, but those inovations were not allowed to enter the economy at large, it was secretive and protectionist and that is primary mover of why eastern economy failed. On the other hand, inovations from military in the west was made available to the economy making it grow faster then ever. This all was supported by private credit system. Today we can see that military does not have the inovation advantage but inovation is in private hands. Military serves no other purpose but to destroy after being employment source. Military elites are in their status quo. And as an employment well it has a lot of power behind it, making even anti-war congressmen being reluctant to reduce such employment. Looking at larger picture, WWI happened at the time when Britain hegemony was loosing power to new economic powerhouse; Austrio-Hungary. Today, USA is slowly loosing its hegemony to new economic powerhouse, China and to energy rich Russia that is increasing the influence in EU. Syria is an example where powers could not get to an agreement about further action and it might blow up in their face as Wallerstein is afraid of. As USA elites are strugling to keep the status quo, instead of going forward offering progress to people at large, the US turns inward instead of influencing the world as before. All the mechanics used to control the world will turn inward to US itself. Hence, autoritharian practices are comming back to bite US. You probably mean Germany. Austria-Hungary was economically quite important, but not such a powerhouse as to overshadow the UK. Your comment reminds me of the theory of Arnold Toynbee about elites, how they come to preeminence after successfully tackling existential challenges, how their eventually unavoidable failure to deal with others makes them clutch to their privileges and enforce the status quo, resulting in a sclerotic culture, a divorce between the commanding classes and the rest of society, and finally the collapse of the whole social arrangement after partially successful, but insufficient attempts at reforming it. Thank you for the pointer to Arnold Toynbee. His work is relevant to our time, and I had totally forgotten about him (hadn’t even seen the name for a decade). “Dismal prospects: 1 in 2 Americans are now poor or low income,” U.S. News and World Report, 11 December 2011. While the U.S. economy has shown some signs of recovery — the U.S. unemployment rate dipped below 8 percent from 10 percent three years ago — the economic outlook for many working families today is bleak. New data from the U.S. Census Bureau show that the number of low-income working families in the United States increased to 10.4 million in 2011, up from 10.2 million a year ago. This means that nearly one third of all working families — 32 percent — may not have enough money to meet basic needs. Source: “Low-income working families: the growing economic gap,” Winter 2012. In the bad old days of George W. Bush’s reign of error in 2007, 21 million U.S. children lived in “working poor” homes. Today, under the glorious rule of the progressive darling Barack Obama, that number is up to 23.5 million. Median household income for families with children dropped by a whopping $6,300 between 2001 and 2011. In Arkansas, Mississippi and New Mexico, more than 40 percent of working families are considered to be “low income.” Families that have a head of household under the age of 30 have a poverty rate of 37 percent. Half of all American workers earn $505 or less per week.At this point, one out of every four American workers has a job that pays $10 an hour or less. And today the United States actually has a higher percentage of workers doing low wage work than any other major industrialized nation does. Back in 1980, less than 30% of all jobs in the United States were low income jobs. Today, more than 40% of all jobs in the United States are low income jobs. According to the U.S. Census Bureau, the middle class is taking home a smaller share of the overall income pie than has ever been recorded before. There are now 20.2 million Americans that spend more than half of their incomes on housing. That represents a 46 percent increase from 2001. In 1999, 64.1 percent of all Americans were covered by employment-based health insurance. Today, only 55.1 percent are covered by employment-based health insurance. Oh? Really? Compared to France? To England? To Germany? To Japan? According to one survey, 77 percent of all Americans are now living paycheck to paycheck at least part of the time. Compared to Australia? Really? Compared to Canada? Really??? Millions of working poor families in America end up taking on debt in a desperate attempt to stay afloat, but before too long they find themselves in a debt trap that they can never escape. According to a recent article in the New York Times, the average debt burden for U.S. households that earn $20,000 a year or less “more than doubled to $26,000 between 2001 and 2010.“ In 1989, the debt to income ratio of the average American family was about 58 percent. Today it is up to 154 percent. On what Bizarro World, FM? Corporate profits as a percentage of GDP are at an all-time high. Meanwhile, wages as a percentage of GDP are near an all-time low. Today, 40 percent of all Americans have $500 or less in savings. The number of families in the United States living on 2 dollars a day or less more than doubled between 1996 and 2011. The number of Americans on food stamps has grown from 17 million in the year 2000 to more than 47 million today. Back in the 1970s, about one out of every 50 Americans was on food stamps. Today, about one out of every 6.5 Americans is on food stamps. More than one out of every four children in the United States is enrolled in the food stamp program. Incredibly, a higher percentage of children is living in poverty in America today than was the case back in 1975. A HREF=”http://money.cnn.com/2013/06/24/pf/emergency-savings/”>”76% of Americans are living paycheck-to-paycheck,” CNN Money website, 24 June 2013. FM is exactly right that America’s broken OODA loops represents the epicenter of its problems. Ironically, FM himself demonstrates that catastrophically broken OODA loop with his Panglossian pabulum about America’s collapsing vanishing middle class, the rings of working poor familiar living in their cars on the fringes of every major American city, the fact that median rents in all of America’s major cities consume 85% of the monthly take-home pay at minimum wage, and the epidemic of child poverty and child mortality destroying the coming generations of Americans. Bad news, Thomas. You find perfection only after you die. Your sad little list can be drawn up for any nation, any time. Much of it is just wrong (to mention just one, you have grossly misunderstood the data about childhood poverty). But your mind is evidently bank vault sold shut, so there’s no point in continueing.